I was honored to be asked to join the IsraellyCool team and contribute photo essays. But what should my first post be? Especially after that Bar Mitzvah invitation video, really how could I top that? I promise to do you a favor and not sing or dance, but to show you through photos what is really happening here in Israel. I am not creative at setting up fantasy scenes and lousy at Photoshop, so you will have to settle for candid shots of real street events. Everywhere else in the world a week is 7 days, but nothing about Israel seems to be measured by universal standards. Silly me, I thought Israeli Apartheid Week which started in February had gone by quieter this year. Then late last night I read a tweet about how Israel denied entry to a South African academic and educator, Salim Vally. Just reading Google search results on him and CERT, Centre for Education Rights and Transformation, spiked my blood pressure. I decided not to wait and share some favorite ones now. 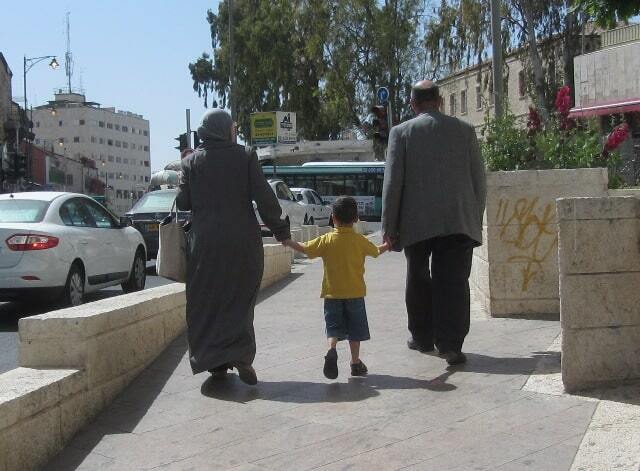 This Arab family had to share the same sidewalk with parked cars as they strolled in the center of Jerusalem. Shocking how this young man had to carry a skateboard on his back as he walked towards Jaffa Gate. This man had to stand and wait in line behind a female shopper in Jerusalem store. 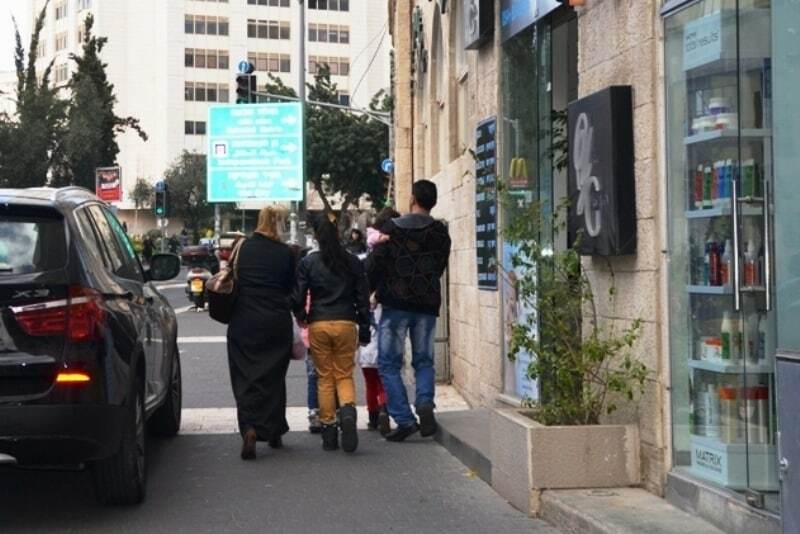 Yes, this Arab family had to walk behind barriers along Agripas Street near Machane Yehuda Market. And these men had to carry their own bags after a day working in the German Colony area. 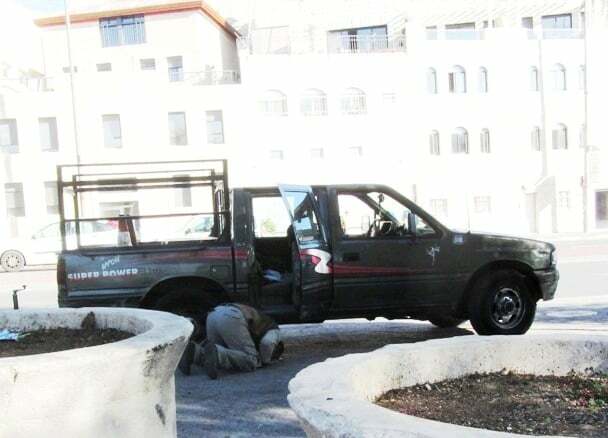 this man working near Gan Sacher, in the center of Jerusalem, got out of his truck and bowed down to pray, right there on the sidewalk in full view. 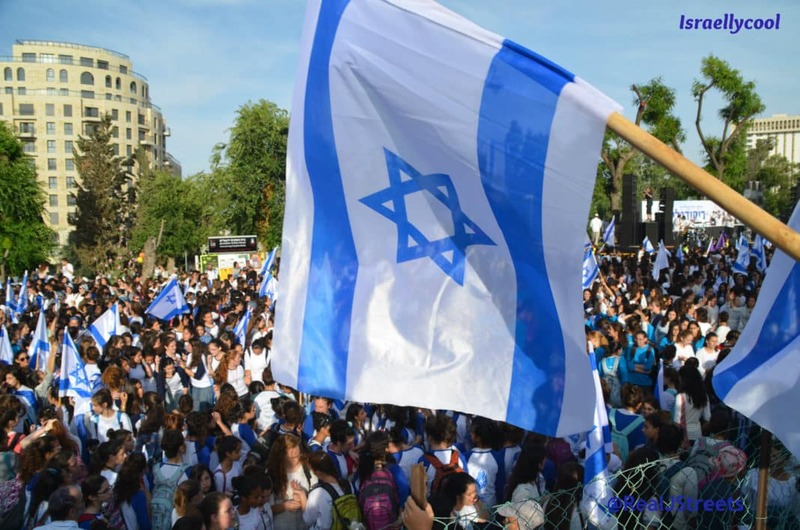 Everyday scenes like these are familiar to Israelis who just walk by and take no notice. 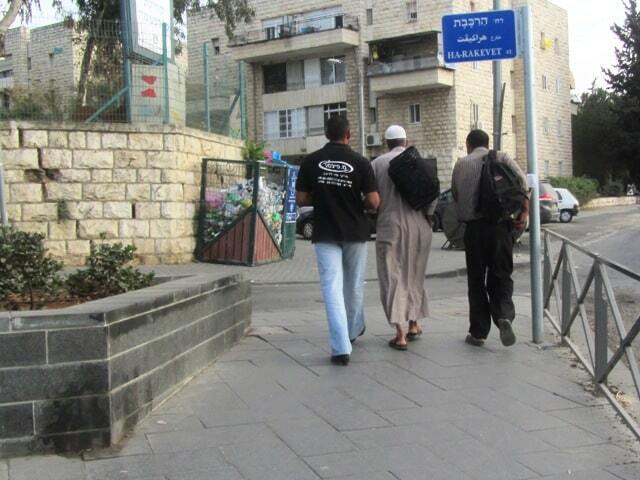 Muslim workers can be seen coming outside to pray regularly in Jerusalem and around Israel. 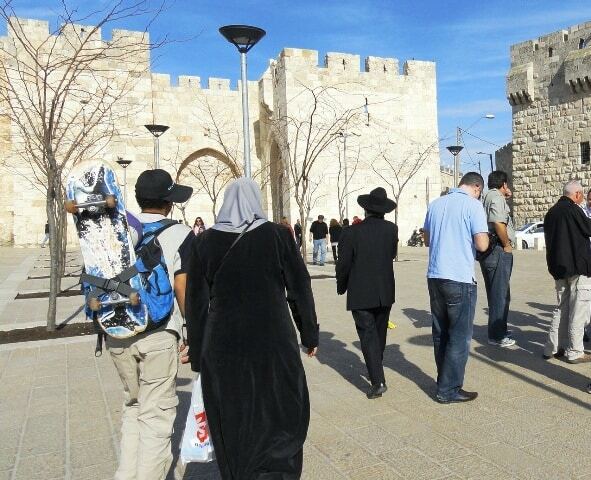 are not used to seeing the real Jerusalem streets which are ignored by the media. For more photos, check out BDS in Jerusalem, this week’s post on The Real Jerusalem Streets. and IsraellyCool was always one of my favorites? Thanks for reading, hope to be back soon.